Home Movies Pakistan Mahira Khan Trolls Hamza Ali Abbasi In The Most Hilarious Way Ever! Mahira Khan Trolls Hamza Ali Abbasi In The Most Hilarious Way Ever! It is a well-known fact that Mahira Khan shares a great rapport with Hamza Ali Abbasi and they have often proved that their friendship surpasses all. We have often witnessed both of the actors taking hilarious digs at each other on their social media accounts. 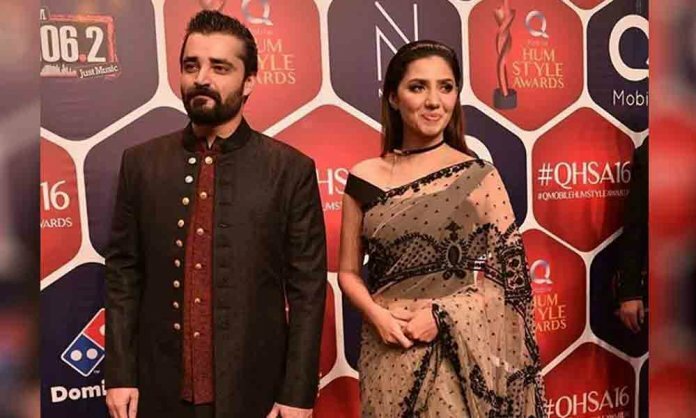 Recently, the Raees actress trolled Hamza Ali Abbasi yet again and that too like a boss! The Zalima actress took to her Instagram account and shared a selfie with director Bilal Lashari and the producer of Maula Jutt Ammara Hikmat, also her friend. But Mahira Khan’s hilarious interpretation of the snap was something that won the internet over. And when we swiped left, we saw a hilarious cropped picture of Hamza Ali Abbasi in the same picture. Yup. True. I wish. And you must appreciate the sasta copy paste of the picture and that diva pout. We always love how they troll each other while giving us some major friendship goals. We just cannot wait to see the duo together in Bilal Lashari’s upcoming venture Maula Jutt 2. Do you want to see them together on TV? Let us know in the comments section below.